What an unbelievable wedding at the Regency Manor Banquet Center in Southfield Michigan. 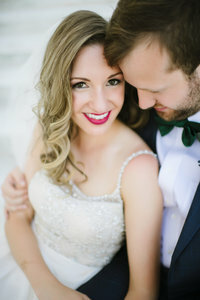 Brandi and Kalvin’s day was beyond special and reflected their love in so many ways. Each part of the day was carefully planned and beautifully executed, it was definitely one to remember! Our day began at the Detroit Southfield Marriott. Here, Brandi and Kalvin were preparing for the most important day of their lives in their separate rooms with the ones they love surrounding them. We found Brandi and her girls getting ready in a room on the second floor. The thing I absolutely loved about this group is they are SO much fun. We easily found the room from the loud music, laughing, and of course the sign on the door “Bridal Party Here!”. Once all the hair and makeup was finished we made our way to another room where the girls would be getting dressed! Brandi had an amazing group of girls by her side helping her look her absolute best! Brandi’s dress was STUNNING! As we walked into her room, the dress was hanging in the window, it took our breath away. The top was so intricate with beads and jewels while the bottom was layers upon layers of thule, it was the perfect dress. To compliment her dress, the bridesmaids dresses were sparkles from head to toe, they looked incredible. Meanwhile, Nicole was capturing Kalvin and his groomsmen who were having a little fun themselves! The guys enjoyed some drinks and cigars as they got dressed for the day. Once they were ready they made their way downstairs to the lobby to exchange gifts and have some good laughs to shake off the nerves and excitement of the big day. As we inched closer to the ceremony time, the wedding party took their rides over to the Word of Faith International Christian Center. This church was so beautiful and made their wedding so elegant! Brandi looked amazing walking down the aisle to her groom and Kalvin looked so happy to finally see her! The ceremony was beautiful and you could see that everyone there was so happy for the two of them. It was now reception time, the best part of the day in my opinion! This was surely true for this wedding. They had truly outdone themselves with the room at the Regency Manor. It cannot be put into words how gorgeous this reception was! From floor to ceiling everything was taken into consideration. The room had a winter theme with snowflakes hanging from the ceiling, white beaded tablecloths, dozens of white flowers and more. Everywhere you looked it was a winter wonderland! Throughout the night there was never a dull moment. This reception was truly a party and every single person there was having the time of their lives. Brandi and Kalvin made this a day to remember for the rest of their lives and we were so very honored to be there to capture it for them. You don’t want to miss this one! Take a peek!